This post was first written in May 2007. 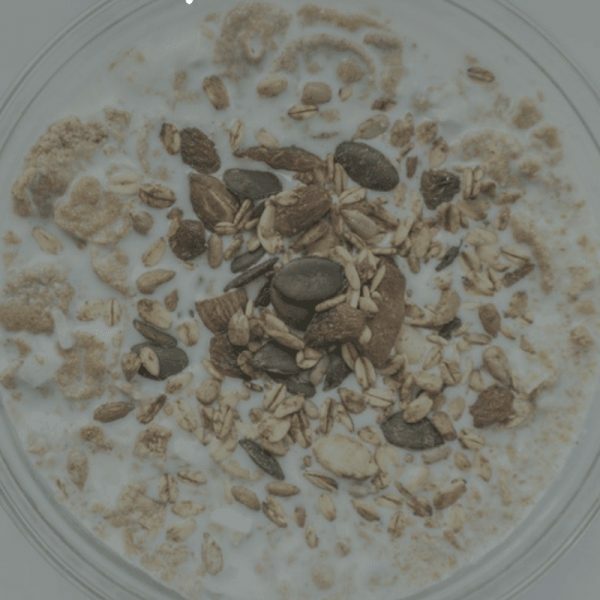 I’m surprised that I was eating bowls of oats for breakfast, lunch or dinner even in the days before oatmeal bowls (or meals in bowls in general) became trendy. For a heavier meal such as a late breakfast / early lunch or dinner, I prefer it like the bowl in this post. This oats for dinner recipe combines oats with 4-5 times the quantity of vegetables. Toasting the oats before preparing this dish ensures that it still retains a texture after cooking and doesn’t turn slimy. Use all the seasonal vegetables you can find in the fridge. You can use a bag of mixed frozen vegetables as a substitute. 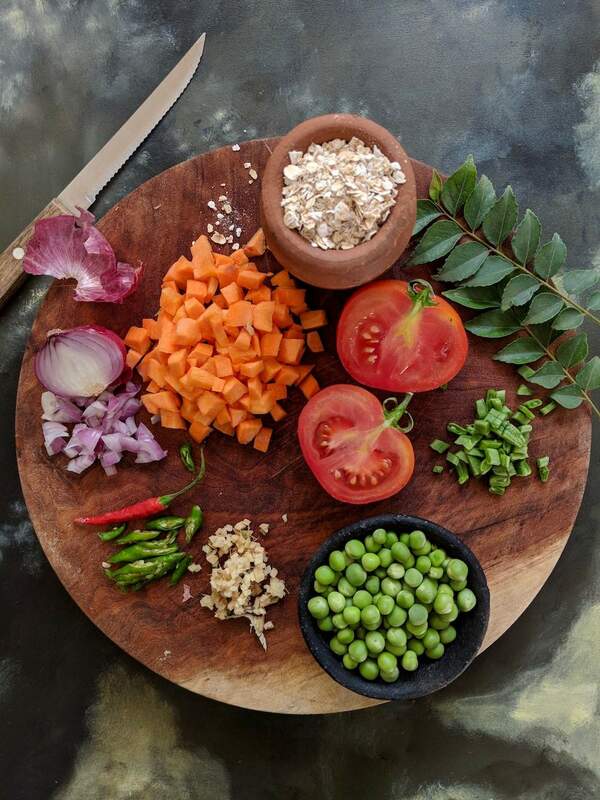 I insist that you chop up the green chillies, ginger, onion and tomatoes fresh, because these will add a ton of flavour to your nourishing bowl of oats for dinner. 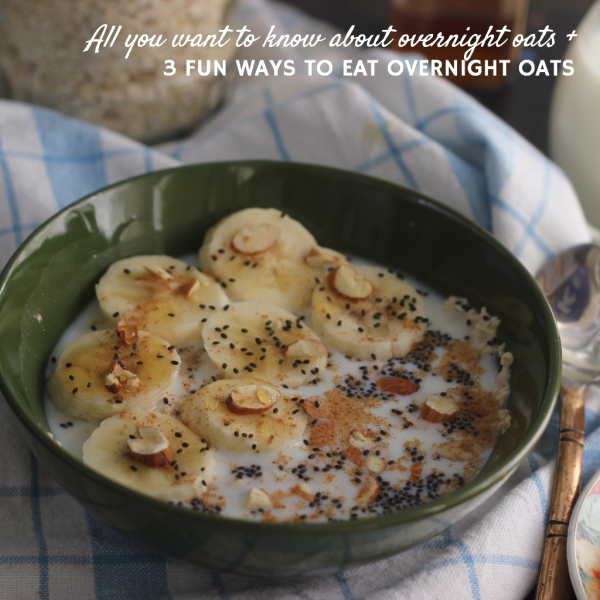 Oats can do with that flavour boost to make it appealing to the tastebuds. As a bonus, I sometimes go ahead and top it with pan fried cubes of paneer (vegans can use tofu). A fried egg on top is also a good option for those who eat eggs. This adds a dash of extra protein to the bowl, keeping you full for longer. Sprinkling a spoonful of sunflower, pumpkin or chia seeds adds the nourishing element of healthy fats to your bowl, making it a complete meal. This oats for dinner recipe is very handy when you have to make dinner for one or two people. It is also perfect for a weeknight dinner when you come in tired and are in no mood to make anything elaborate. A regular oats porridge for dinner is not something that floats my boat. Hence this nutritious, filling, Indianised oats porridge, made along the lines of oats upma is my favourite. Trust me, this will end up becoming your go to dinner on busy weeknights. To prepare these bowls of oats for dinner, start by lightly toast the oats in a frying pan for about 4 minutes, on a medium flame until fragrant. Remove into a dish and keep aside. In the same pan, heat 2 tsp coconut oil and add all the tempering ingredients - mustard seeds, urad dal, chillies, ginger and curry leaves. Fry for 1-2 minutes on medium flame until urad dal turns golden brown. To this, add all the vegetables except tomatoes and stir on high flame for 2-3 minutes. Add tomatoes, 1/2 tsp salt and fry for another minute or so. Pour in 3 cups water with remaining 1/2 tsp salt and bring this to a boil. Once the water is boiling, reduce flame and simmer for 3-4 minutes until vegetables are nearly cooked. At this point, add the toasted oats, give it a stir to break any lumps, keep the flame on medium to low and cover it with the lid. Let this cook for 5 minutes until the oats is cooked and creamy. Divide between two bowls. 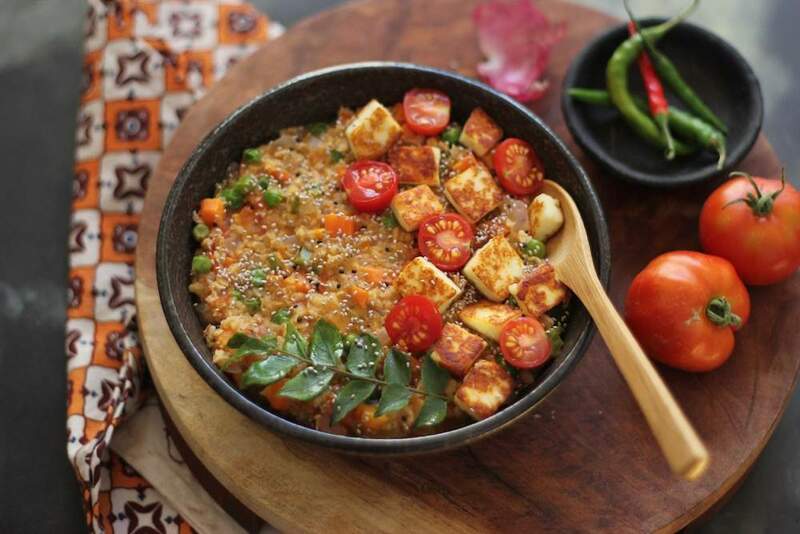 In a small pan, heat 1/2 tsp coconut oil and pan fry the cubes of paneer or tofu until golden on all aside. Remove and divide between the two bowls of oats. Sprinkle the seeds over the prepared oats. Serve hot. Instead of the toppings, serve with a cup of yogurt to make a complete meal. These bowls of oats for dinner are best eaten hot. They don't taste good cold. You can get this ready even faster if you use one and half cups of frozen chopped mixed vegetables instead of the ones mentioned. Originally published on May 01, 2007. Updated with new photos and text. 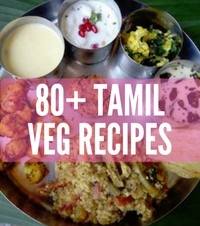 For more such healthy vegetarian recipes, get my book The Everyday Healthy Vegetarian! Get all the info about my book and order it here. Sign up to my newsletter by putting in your email in the box in the home page, to get all latest posts in your email. errrrrhow does it taste ??? That sounds perfect…I have got soo bored of my usual cooking with milk and adding some sugar…nuts..fruits..none of them held my interest for more than 2 months ! I am going to try your version..it will surely make a yummy light dinner ! Will try your breakfast tip tomorrow. 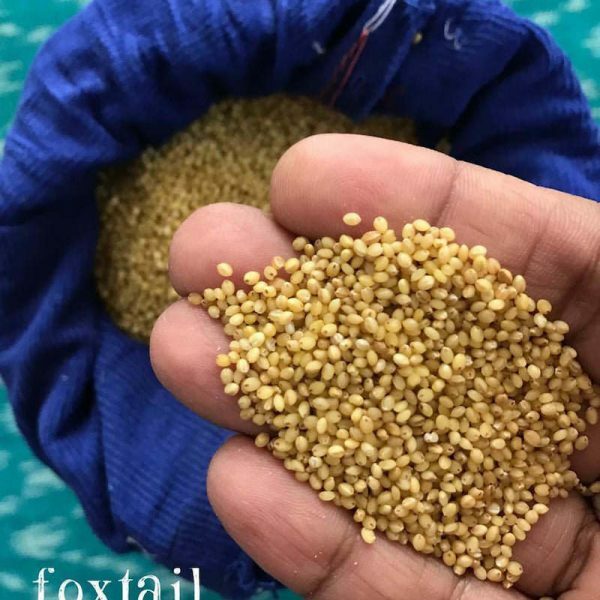 awesome recipe, wonderfull to try something like upama porridge would love this with this i could avoid the sweet intake with the oats too!Thanks Nandita! 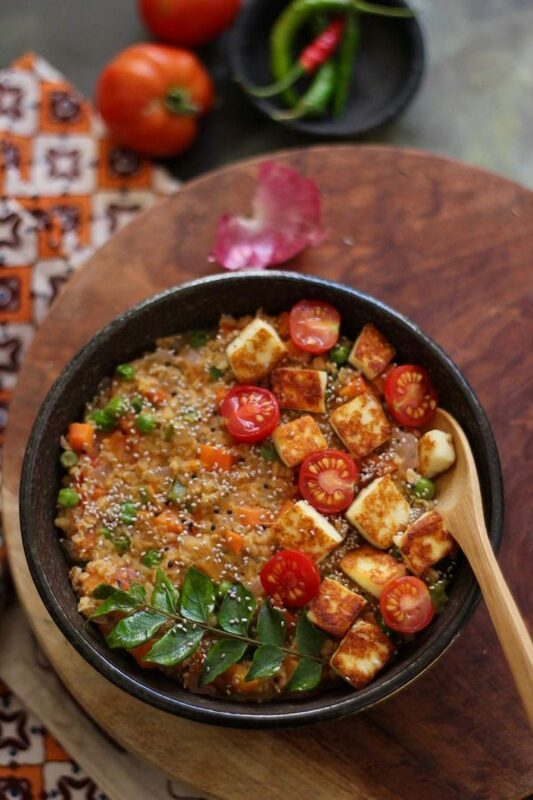 Nandita, Oats for dinner with veggies, that is a great idea! With your permission, I’d love to include this in the “O of Indian vegetables” this weekend. P.S: My favorite variation of oatmeal: with a touch of honey and a dollop of peanut butter mixed in (idea from Alanna of veggie venture blog). Now this version of oats is something I might could manage in the morning. My hubby eats oats 3 mornings a week, but he puts milk & sugar or butter & sugar on them. I only like savory foods in the morning instead of sweet ones, so I avoid oats. I think I need to try this style of cooking it. 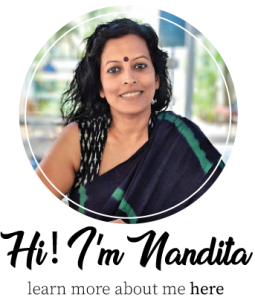 hi ur blog looks so cool….nice recipes and healthy too…u have lot of information on ur blog…ur blog name “saffron trail” is simply superb.keep going..
What a great idea. We eat savory crepes for dinner–so why not oats? Oats for dinner, that is so innovative sweety, I don’t normally eat oats, too bland for me, but this sure sounds delicious. This is like an oats upma! I have to try it!A year ago, I tried coming up with an oats chivda, along the lines of the kachha chivda but it failed miserably. I also think I used the wrong kind of oats. If you have a recipe for oats chivda, please share it!! When will I take pictures like the ones you do? hi ur blog looks so cool….Ill try this…. 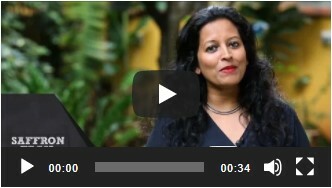 Hey Nandita…. oats cooked with vegetables sounds really nice. Will definitely try this, especially when i have only little time to prepare dinner. Hey Nandita :I tried your OATS idea for breakfast. It was awesome. I always have trouble coming up with healthy breakfast ( mainly cos I hate cereals or anything sweet for breakfast)and have little time for making rotis or dosas in the morning. This OATS , frozen peas , in buttermilk was too good. I also added a pinch of hing and had with vadu mango . 🙂 Thank you ! Hi Nandita Absolutely awesome recipe. I never thought of oats in a upma. always thought of oats in sweet breakfast category. I make upma this way with semiya or wheat rawa. will try with oats next time. 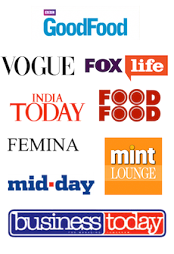 Hi Nandita,I regularly visit your blog for recipes and have tried some. They have turned out really good. We usually have soup for dinner and hence I tried this one last night. It was a big hit in my family. My elder one who is an oats fan instantly loved it.Thanks for your healthy recipes! AWESOME STUFF, SAFFRON TRAIL !! A bowl of hearty vegetable oats ..perfect for Breakfast , Lunch , Dinner anytime. Thank u for this awesome recipe. Please visit my blog as well. 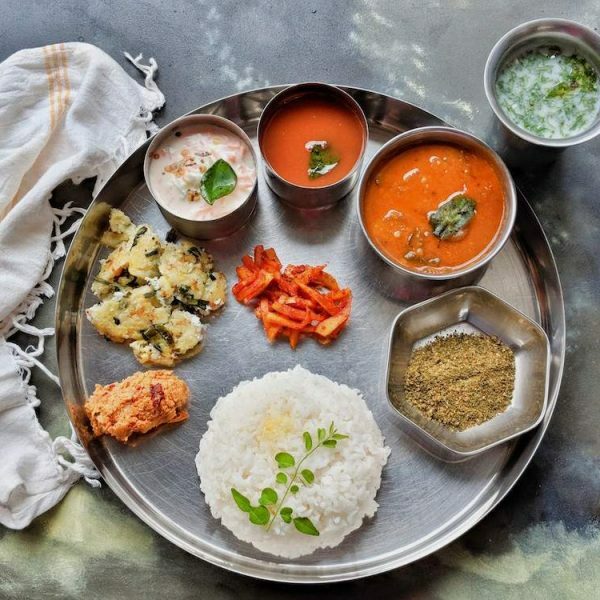 I post delicious Indian recipes like we cook in Bengali Household. You wont be disappointed!.